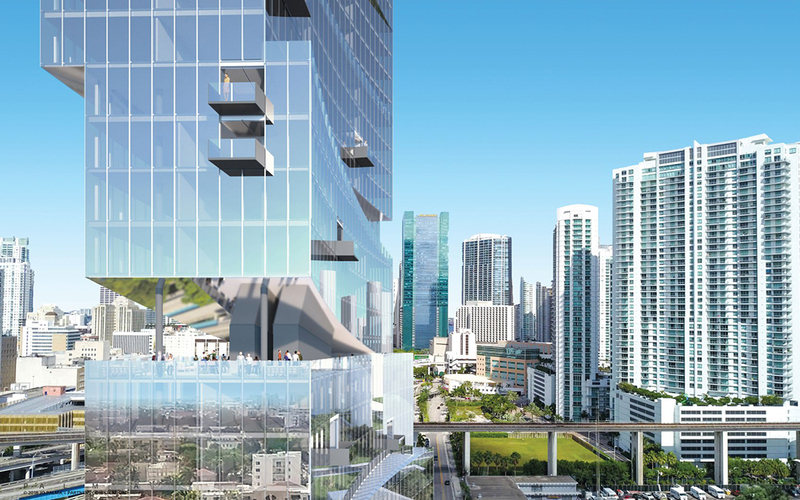 Downtown Miami property owner Sean McCormick has hired award-winning Architect Jo Palma to design a mixed-use project to replace a warehouse he owns. 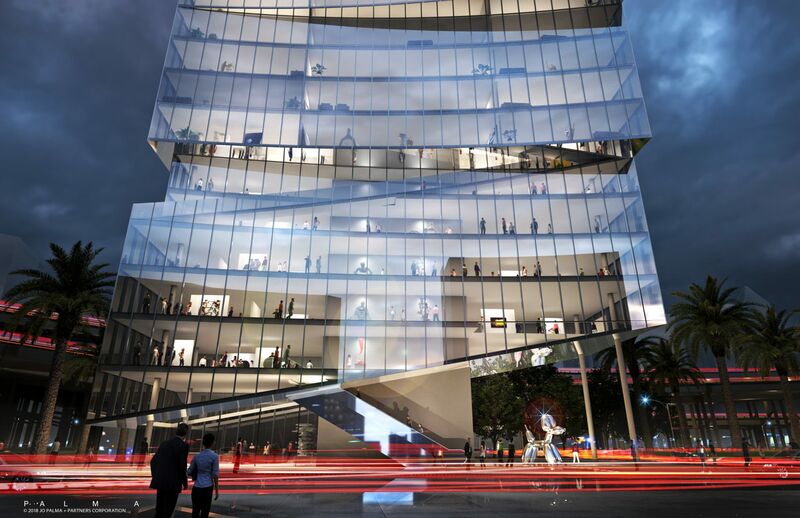 The result is The Basel Miami, a 36-story tower which will include 234,000 square feet. The Basel is proposed to be built at 205 SW 3rd St, in an Opportunity Zone across from Adler Group’s newly approved Miami Riverside Center. McCormick’s family has owned the property since 1970, and his grandfather first established his medical practice in the in the Julia Tuttle Circle (SE 1st Ave.) in the 1920’s. It is proposed to include a Modern Art Gallery with artist studios at the base of the tower, offices immediately above it, a boutique hotel and private residences at its upper floors. Total cost is estimated at $100 million, and McCormick is seeking a Joint Venture Partner and Signature Luxury Hotel Brand. The”slipping” volumes of the tower will help maximize views. Palma created the design for Dubai’s Cayan Tower (the tallest twisting tower in the world), and has designed projects on five continents. Update: The correct project site is 205 SW 3rd St.